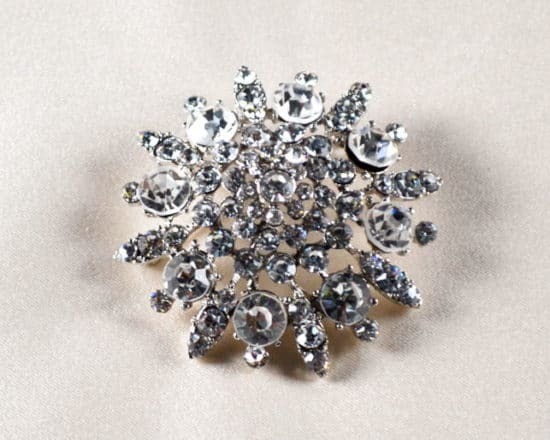 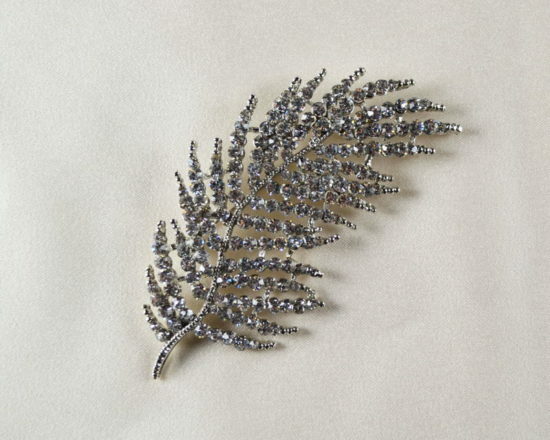 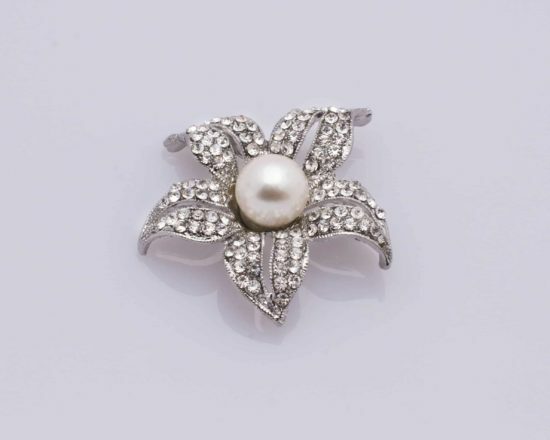 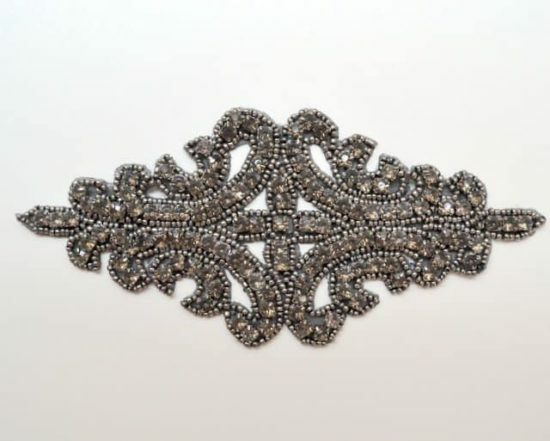 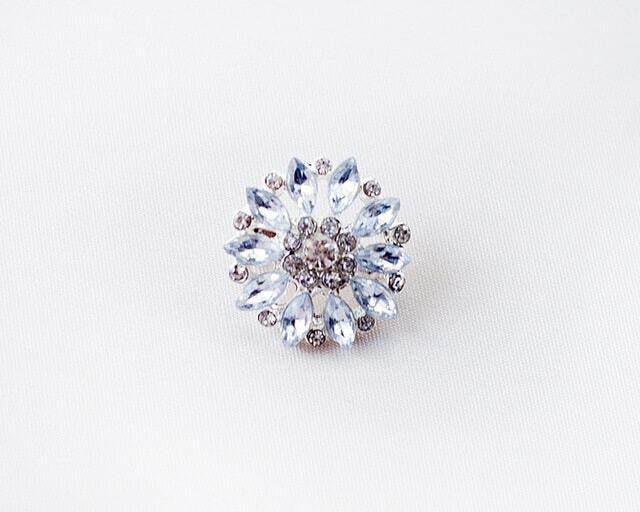 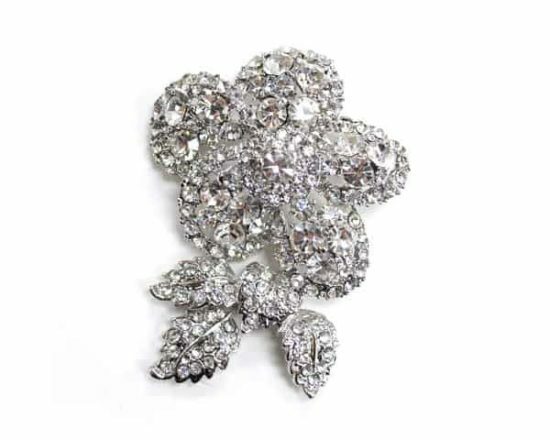 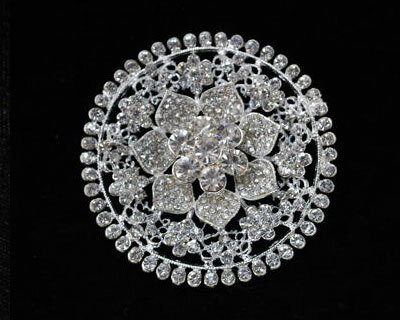 Beautiful small crystal brooch features 10 small marquise shaped crystals interspersed with small round rhinestone. 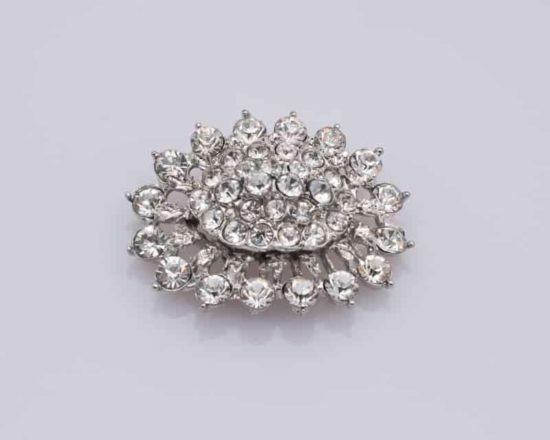 Pin-back. 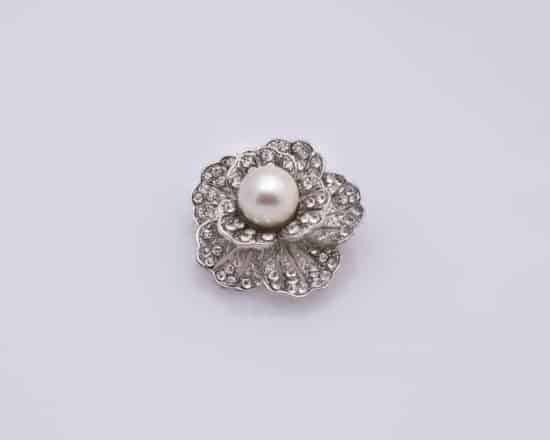 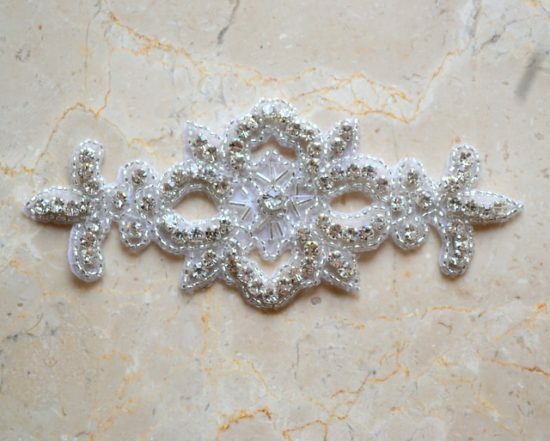 Gorgeous bridal embellishment. 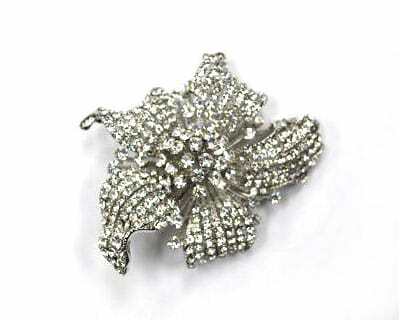 Size: 25mm (about 1″) diameter.